Back in June when I announced I was taking a big trip to New Zealand, I mentioned I would be opening up a new section of the site, called David Goes Kiwi. Well, with my trip only days away, it’s finally here! You can find it at the easy-to-remember URL kiwi.raptitude.com. I’ll be posting my verbal and photographic accounts of the trip there, on a frequent but irregular basis. As far as I can foresee I will continue my twice-weekly articles here at Raptitude. To get you acquainted with this new baby of mine, today’s post is on David Goes Kiwi. Enjoy. I read it… I love it… I subscribed! .-= Lisis´s last blog ..Adventure: The Lake Champlain Giant Pumpkin Regatta =-. Looking forward to seeing the sights through your photos, and reading about your great adventure. Thanks ladies. Looking forward to seeing your familiar avatars too, when I’m many miles from home. Look forward to your pictures and adventures! .-= Kaushik´s last blog ..Positive Thinking =-. Will it be whisked into my reader along with the regular Raptitude-ity? .-= Hayden Tompkins´s last blog ..How to Sabotage Your Income =-. 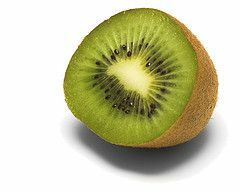 I decided to keep it a separate blog completely, so you’ll have to subscribe to David Goes Kiwi also in order to get it in your reader. So the time is here! Yay! Congrats on the new site too. Thanks Nadia. Seems like not that long ago that I was telling you about this big trip six months down the road. Time flies. I’m so excited to read about your travel journey. I have a quick question. Since David Goes Kiwi is a part of Raptitude will it still come to the feed reader or do we need separate RSS subscriptions? Thanks Nea. It is a separate RSS feed. I decided to keep it a totally separate blog. The link to subscribe is a few comments above this one.